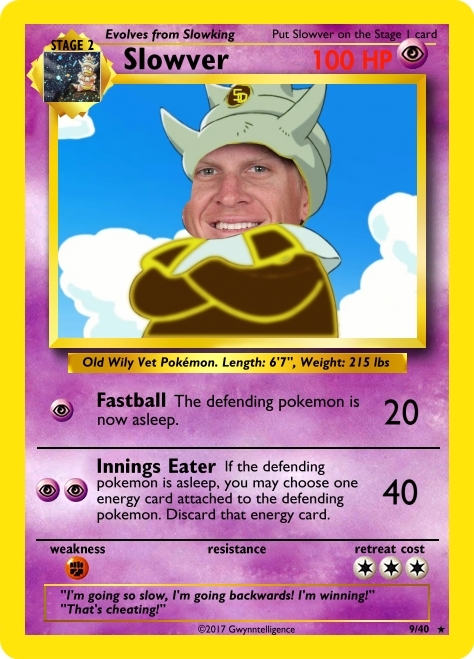 Welcome back to Padrémon, where your favorite and least favorite Padres are transformed into a Pokémon. 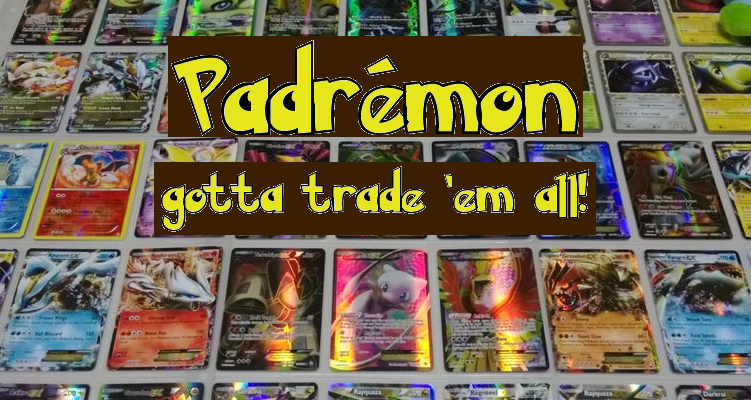 Rather, a Padrémon. I haven’t done one of these since like 2014, but based on the tremendous volume of people – 2! – requesting that I bring this back, here we are! The contract retreat cost is nice, but that’s all it has going for itself at this point. Okay, so maybe my time on the east coast has …umm… weakened my Mexican food palate. I probably had white queso in San Diego maybe 1% of the time, but it’s a fixture at any chain on the east coast. Especially at the most prevalent chain here in Delaware: Qdoba. One of the earliest complaints I got about these ridiculous cards was that you couldn’t actually use them in a real game; they were too terrible or used powers which would have no use in the Pokemon world. 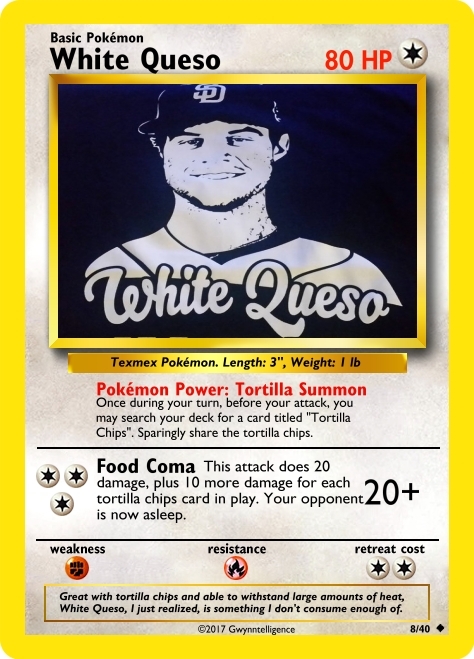 For example, there is no trainer card named ‘Tortilla Chips’, so White Queso’s Pokemon Power is basically worthless. 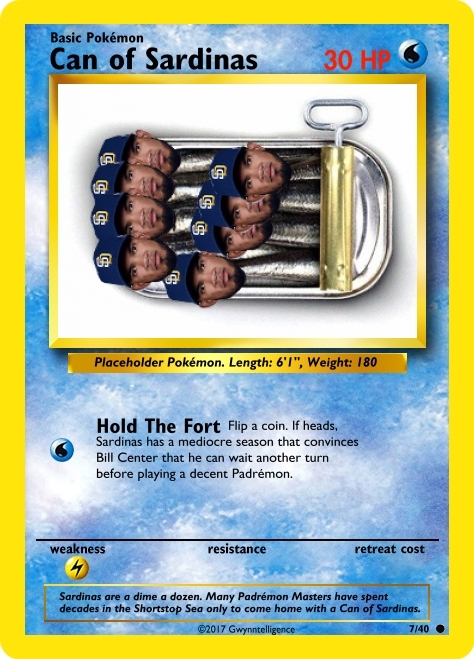 This card you could actually use, though. Both attacks are useful, it has both low energy costs and a high HP, and it actually evolves from a real Pokemon. It’s weak to fighting / power bats and has a terrible retreat cost, but still … conceivably usable. ← Is Zach Lee The Most Important Piece of the Padres Rotation?